I’m happy to announce my new online course on effective and creative evaluation report writing. In this course, you can learn best practices for effective and creative report writing specific to evaluation reports. Learning points and practical exercises are combined to develop skills in putting together an effective and engaging evaluation report. For those interested in presenting evaluation data effectively, here is a recent post from Nick Herft on the BetterEvaluation blog with some very useful tips and guidance. Bond (UK NGO body) have created an online hub of campaigning effectiveness resources based on the lessons and recommendations of their IF campaign. More than 30 individuals have shared their expertise in 7 areas of coalition campaigning to produce some 20 resources. They give top tips, reflections and ideas on topics ranging from digital campaigning to how to structure coalition campaigns. In addition you’ll also find interesting campaigning tools to assist with common campaigning issues. The “Inspiration” mini-cases are particularly interesting for those working on campaigning and seeking to learn what “works” for others. I’ve written before about using video for data collection and reporting evaluation results – but I’ve just come across this interesting example of using video for a baseline, that is to record the situation before the project starts. Miki Tsukamoto of the the International Federation of Red Cross and Red Crescent Societies explains this approach on the AEA365 blog which they used for a project in Uganda. 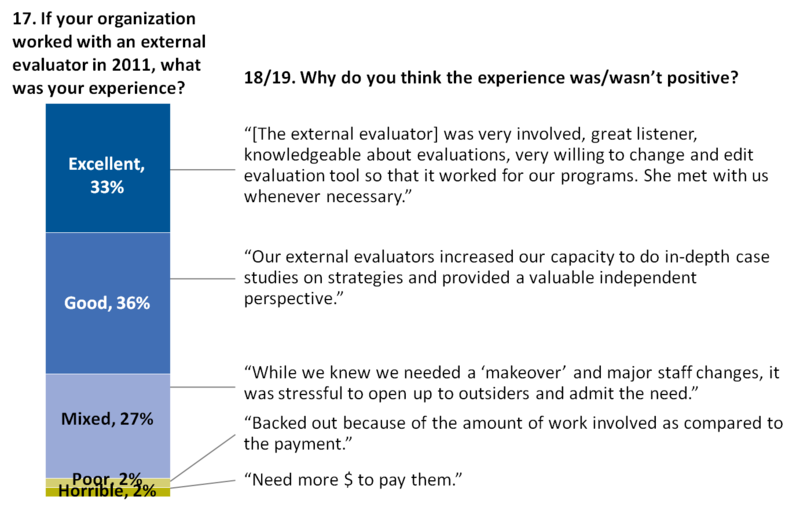 A summarised version of the resulting video is found below. They will return in 2017 to make an “endline” video – so stand-by! 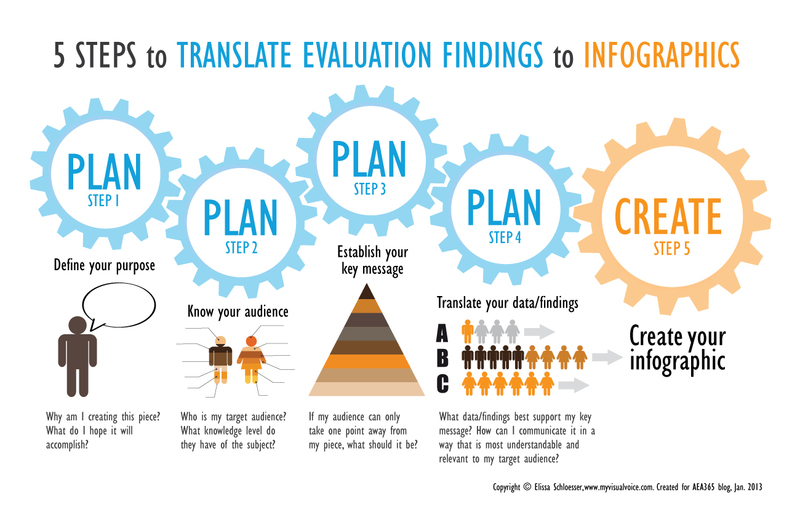 I wrote recently on using infographics for evaluation – and just recently I came across an excellent post from Joitske Hulsebosch on the BetterEvaluation blog on how to transform evaluation findings into infographics – also providing some hints on software you can use yourself. And l love this – an inforgraphic from Elissa Schloesser on how to create infographics! (click on it to see it bigger).